Did you know that you can use Gmail mailbox not only from the web interface, but also from more convenient client, such as Microsoft Outlook? 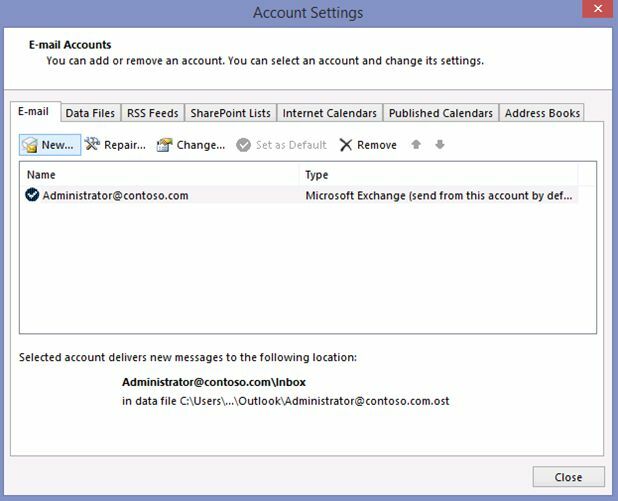 In this article we will show you how to configure Outlook for Gmail. Before attempting to set up Outlook 2013 profile, you must properly configure your Gmail account. 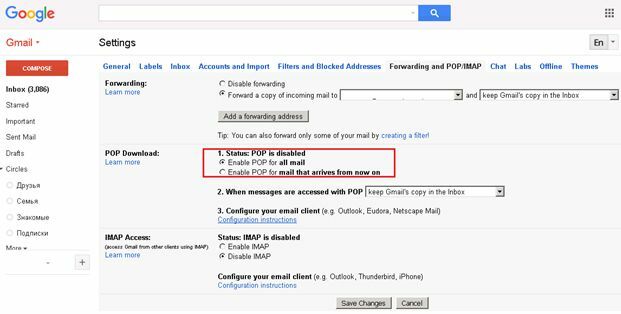 For Outlook e-mail client to access the mailbox on the Gmail, you need to enable POP3 protocol (or IMAP). In the upper right corner, click the gear wheels icon, select Settings. Select tab Forwarding and POP/IMAP. 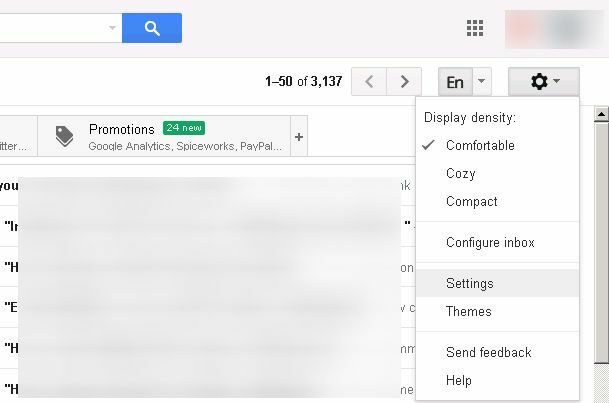 Select option Enable POP for all mail. 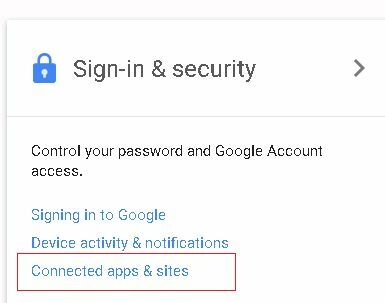 Then in your Google Account settings you need to check whether the support of e-mail clients like Outlook is enabled. This option is relatively new. Note. The fact that Google considers email clients as Outlook unsafe (because to check mail or sync folders it will use your password), and not a one-time authentication (like in Mail app for OS X). However, this problem is solved by enabling two-factor authentication, when a separate password that is different from your Google password is created for Outlook. 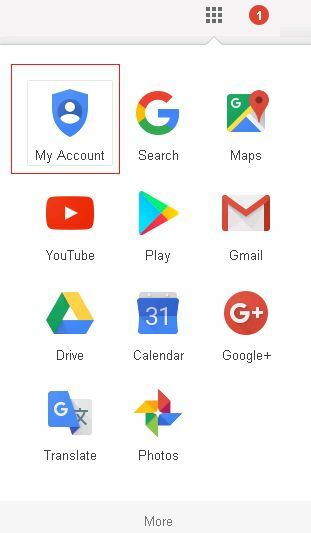 To allow access to your Gmail from Outlook (and another mail application) click on the applications icon in the upper right corner and select My Account. In the Sign-in & security section select Connected apps & sites. Scroll down if necessary and switch Allow less secure apps to ON. In any case, it is recommended to reload the page and check the switch again after that. 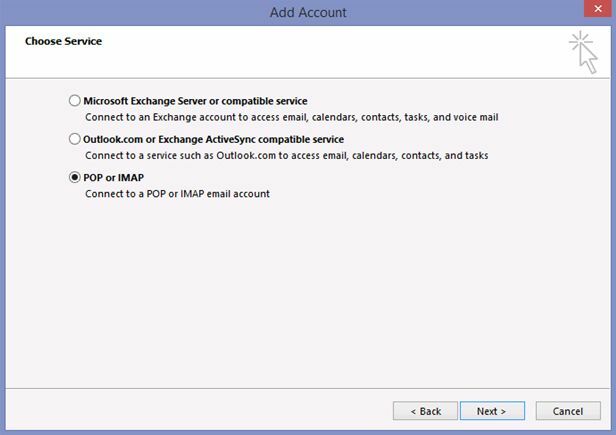 READ ALSO: How to Configure and Change Outlook Signature? 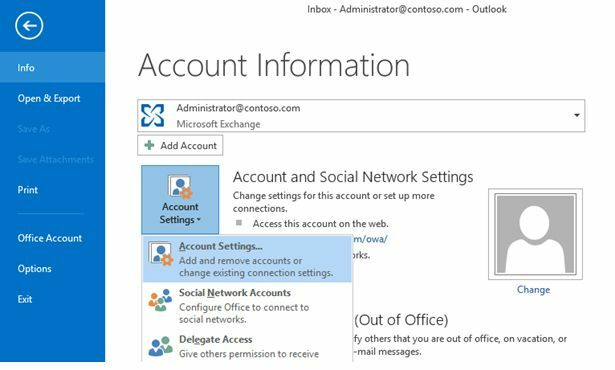 Now you are ready to configure Outlook to access Gmail mailbox. In this example, we are using Outlook 2013 (in other Outlook versions configuration is similar). Press menu File in top left side and select Account Settings. In the Account Settings window press New. 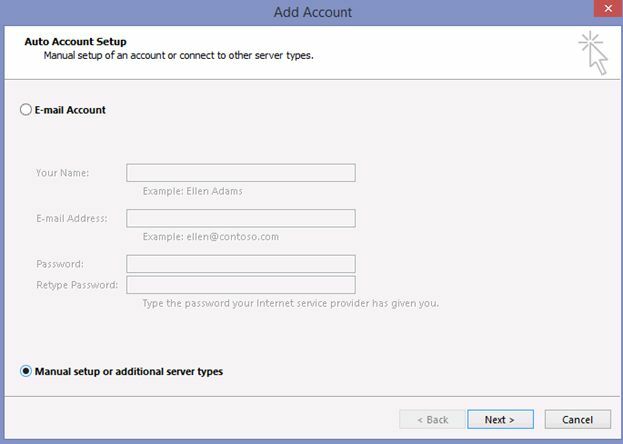 In the Add Account dialog box select option Manual setup or additional server types and click Next. Select POP and IMAP and click Next. 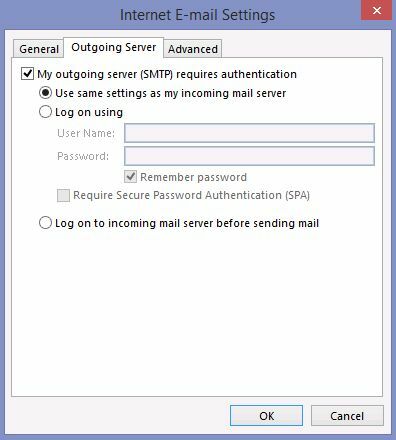 In the Internet E-mail Settings window switch to the tab Outgoing Server and tick the checkbox My outgoing server (SMTP) requires authentication and select item Use same settings as my incoming mail server. Incoming server (POP3): select This server requires an encrypted connection (SSL), port number 995. Outgoing server (SMTP): SSL, port 465. Tick the checkbox: Leave a copy of messages on the server. Press button Test Account Setting. Wait for the verification email access. If during the checks you will face with error, then check if username and password you entered is correct. Alternatively, open the mail from a different browser or computer, sign out of the mailbox and login again. 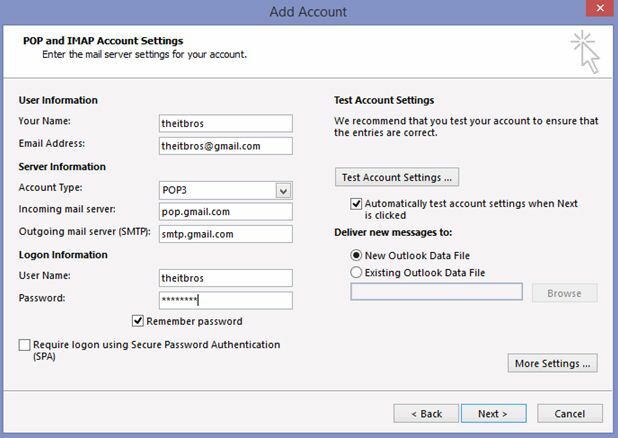 Now you can send (SMTP protocol) and receive (POP3) mail from your Gmail mailbox in Outlook 2013. Here is another great article on how to configure Gmail with Outlook.